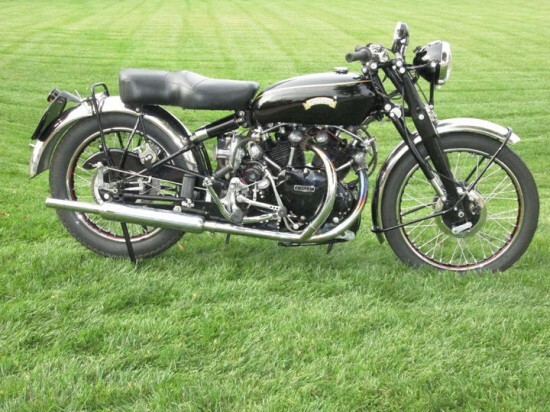 This 1951 Vincent Black Shadow is for sale on eBay now by a professional sales shop. I had almost passed over it because we highlight a lot of Vincents, and this is just another one. Then I remembered what I told my daughter as we are parked next to two (a Series A one no less) Vincents on the ferry to Vashon Island. 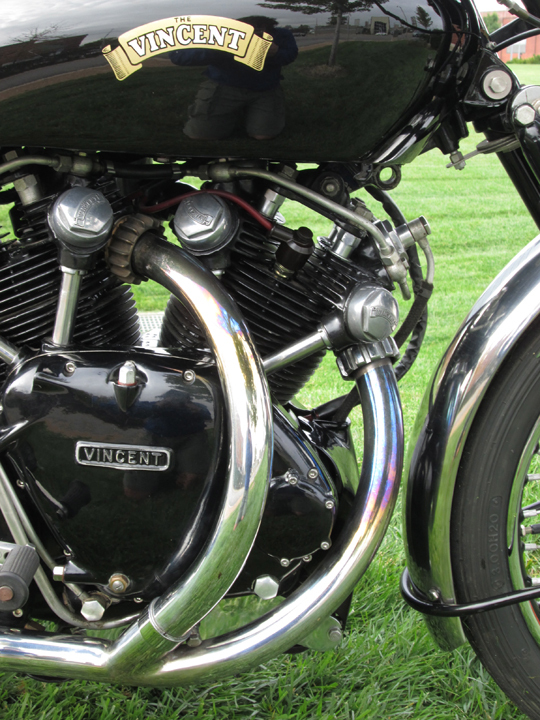 I told her that it will be a long time before you see two Vincents sitting next to each other. And that is why I will share some of the pictures the seller posted. 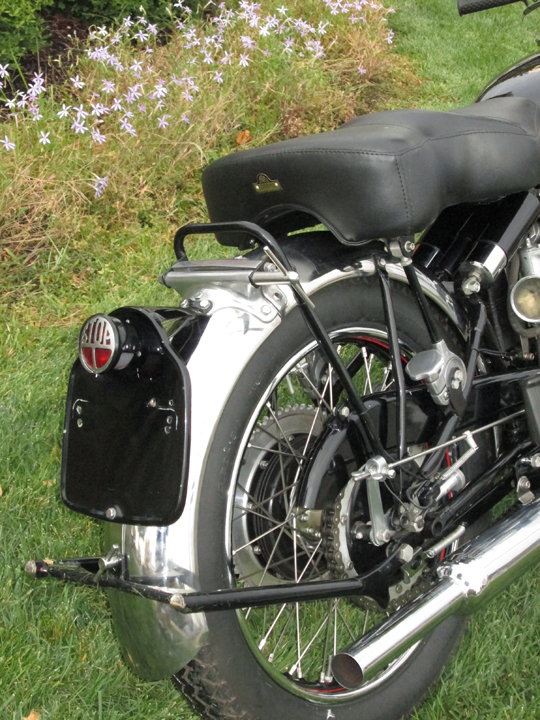 There are no words from the seller, as with all their auctions, they feel the pictures sell the bike. 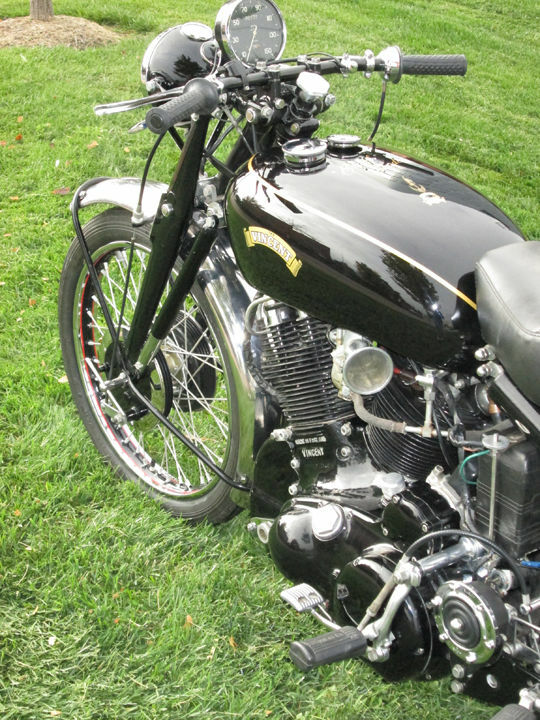 Head on over to see more pictures of this great bike. If I were to through out numbers like 55bhp at 5500 rpm, 7.3:1 CR, and 458 lbs, would your first thought be sports bike? These are the numbers I find for the Black Shadow from the factory. The bike offered as a sports model to the Rapide cruiser? 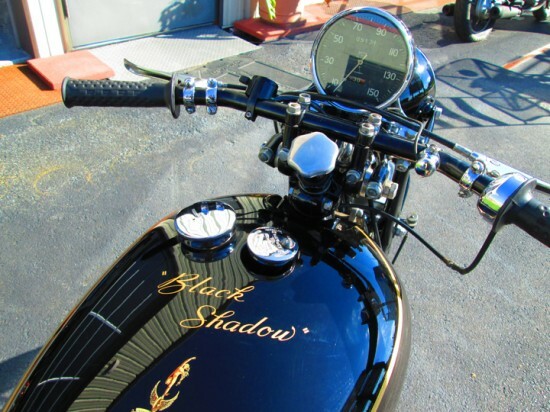 With total numbers around 1700 made, I would be surprised that this or any other Black Shadow doesn’t have a few more horses inside that great non American V-twin.